Today we celebrate a man with a dream—a visionary leader who had the courage to envision a better world and the foresight to know that we can accomplish so much more together than apart. 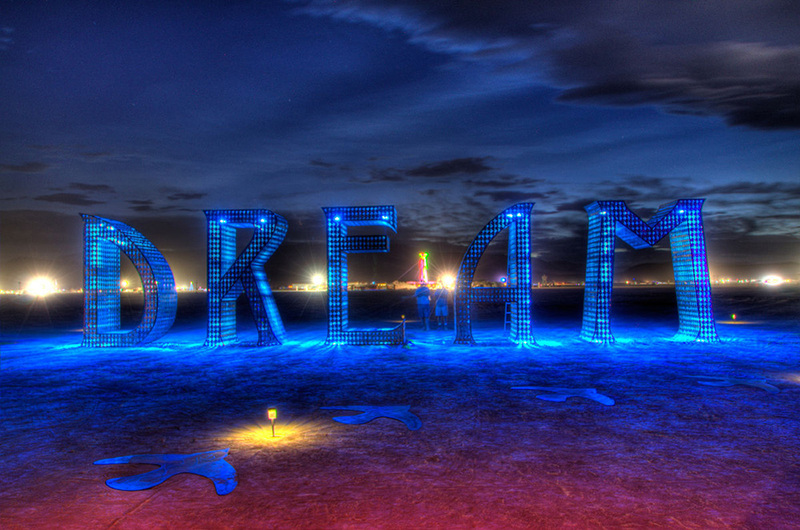 With the help of Stevie Wonder’s hit single, “Happy Birthday” and Coretta Scott King’s moving testimony to Congress, a federal holiday in honor of Dr. Martin Luther King, Jr. came into effect in 1983. For years, Americans celebrated Dr. King’s legacy with a day off. Today, we’ve been charged to instead celebrate with a “day on” and give back to our communities. 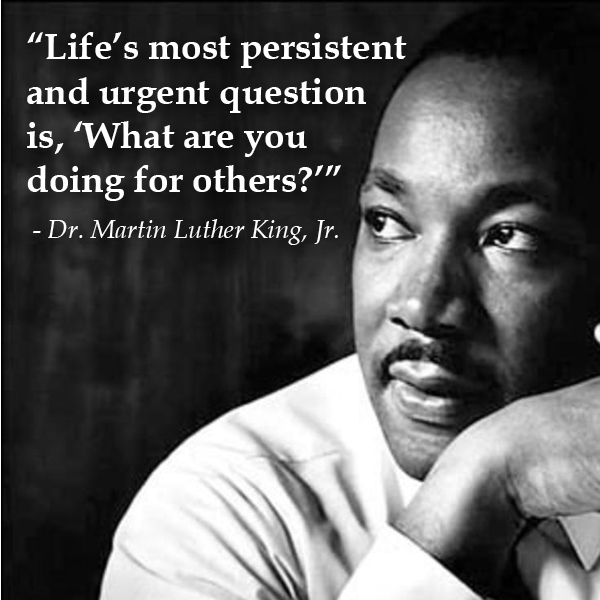 In 1994, Congress dedicated the Martin Luther King, Jr. holiday a national day of service. Now, each year—on the third Monday in January—hundreds of thousands of Americans across the country come together to serve their communities. Side by side, people of all backgrounds work together to better the lives of others. During his life, Dr. King stressed the importance of strengthening our communities by empowering our neighbors. So, what better way to celebrate his legacy than by lending a helping hand to a neighbor in need? Each year more participants come together to serve others through projects ranging from tutoring, to building homes, to delivering meals. However, many people are still unaware of the service component that accompanies this well-known holiday. Check out the video below to learn more about this day and spread the word! Looking for some fun ways to give back? Click here to view hundreds of volunteer opportunities that are happening around the country today! And for folks in Arlington, head over to Levitt Arlington at 9 a.m. to kick off your day of service with your fellow community members at The MLK Festival—featuring live performances, art, food trucks and more! This entry was posted in Holidays and tagged Dr. Martin Luther King Jr., Levitt Arlington, Stevie Wonder on January 18, 2016 by Nicole McGaffey. 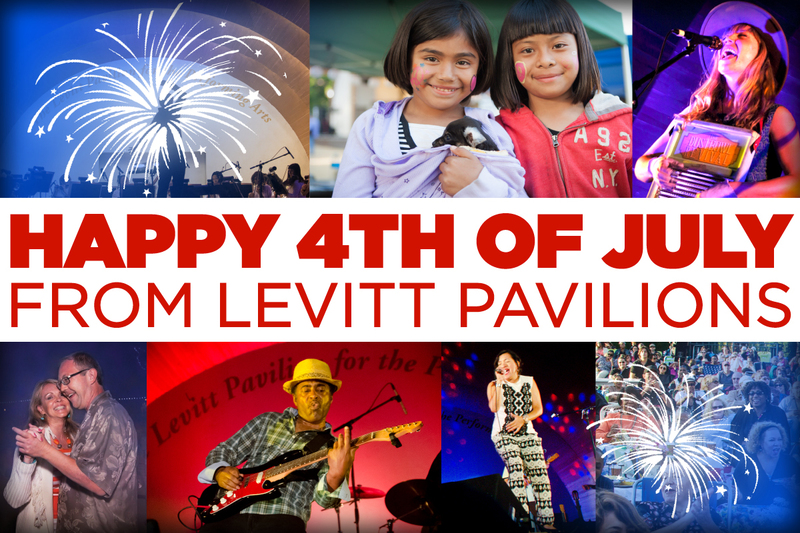 This entry was posted in Spotlight Series and tagged Gedeon Luke & the People, Levitt Arlington, Levitt SheelStacks, Levitt Shell on June 17, 2015 by Nicole McGaffey. 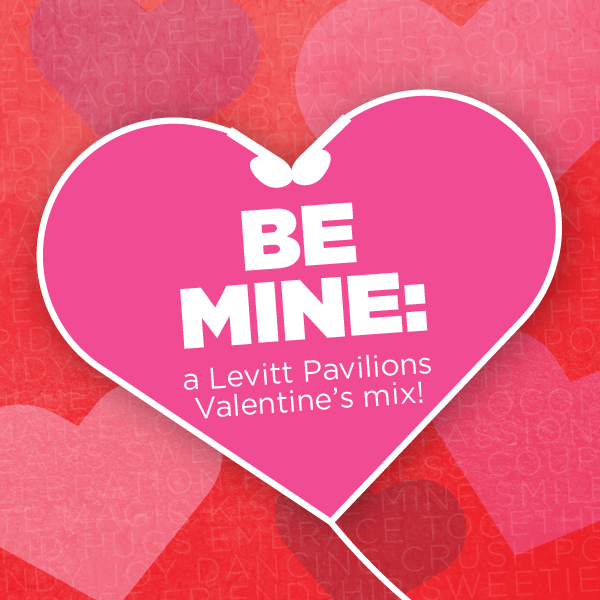 Announcing the 2015 Levitt National Tour Dates! The wait is finally over! 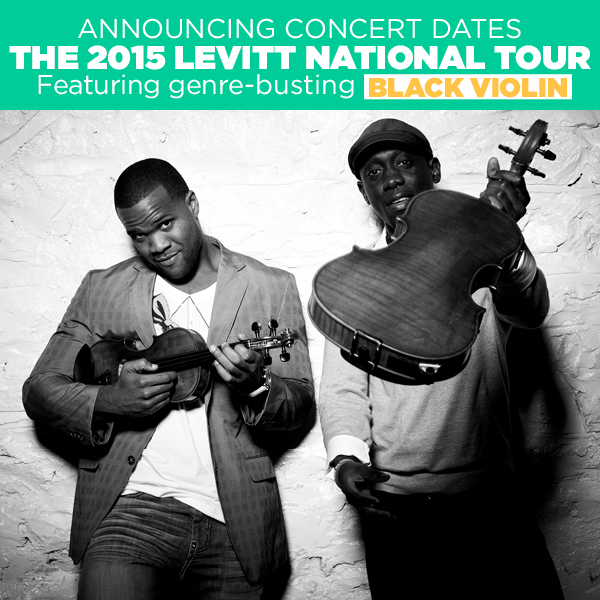 We’re thrilled to announce the tour dates for the 2015 Levitt National Tour, featuring the one and only Black Violin! 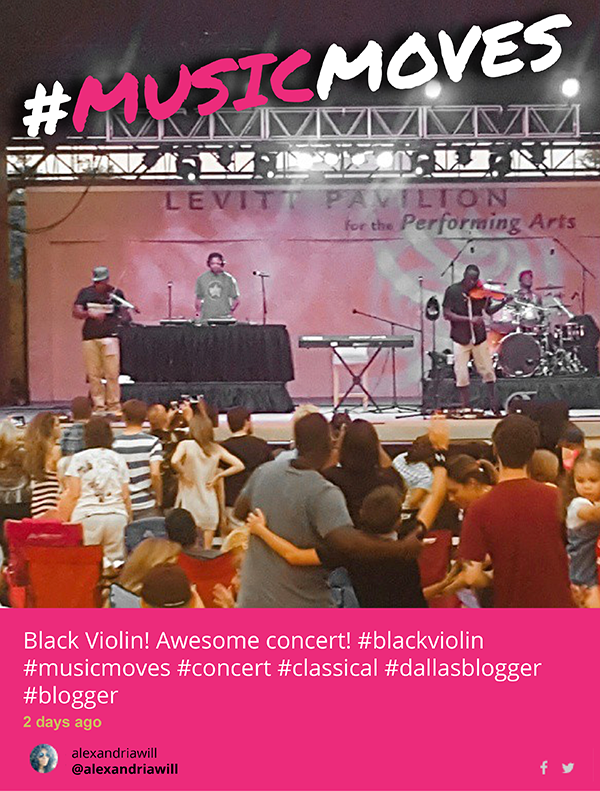 This entry was posted in Concerts, Levitt Artists, Levitt in America, Levitt National Tour and tagged Black Violin, Levitt Arlington, Levitt Denver, Levitt Los Angeles, Levitt National Tour, Levitt Pasadena, Levitt Shell, Levitt SteelStacks on March 24, 2015 by Nicole McGaffey.